JVC HA-FXC51 review | What Hi-Fi? 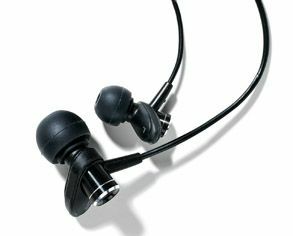 Intriguingly shaped and blessed with a comfortable in-ear fit, the JVC FXC51s feel well worth the asking price. With one caveat, these are quite nicely balanced and detailed. Presentation is (mostly) natural and enjoyably musical, and they handle rhythm and timing well. Low frequencies enjoy presence and solidity, and the midrange is open and revealing enough to make the most of a vocalist. It’s the top-end reproduction that spoils the party. Far too keen, much too thin and tiresomely prone to rattle and glare, treble frequencies are never less than prominent – and crassly upfront on occasion.